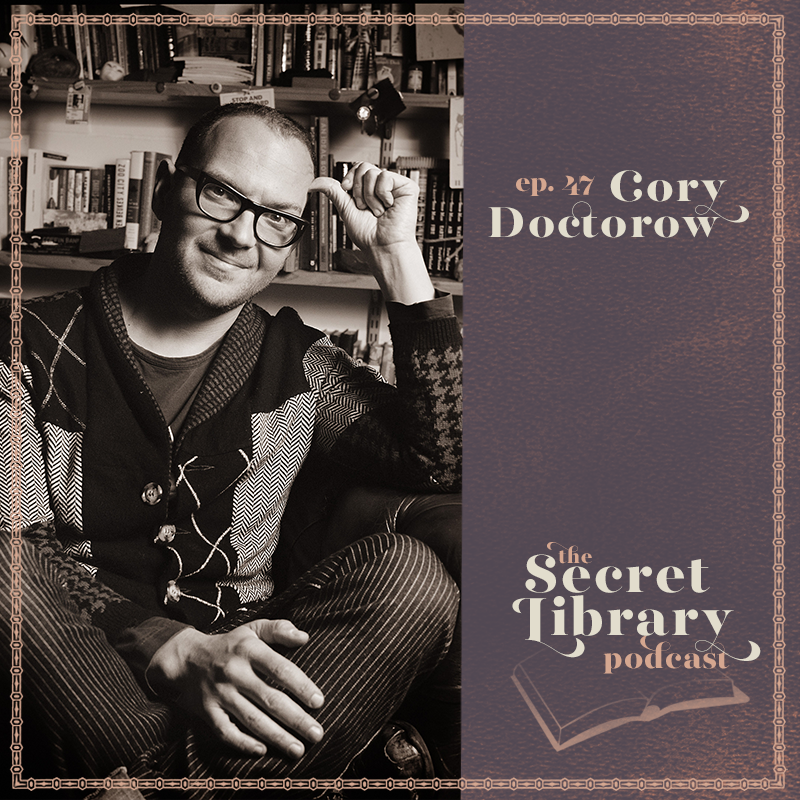 Cory Doctorow not only writes about the future, he's also advocating for a better one in reality. As I get more familiar with the world of Science Fiction, it strikes me that most writers in this area are also secretly activists of some form or another. Cory Doctorow, author of numerous books, including the forthcoming Walkaway, is also the co-editor of BoingBoing and a technology activist. He is a special consultant to the Electronic Frontier Foundation (eff.org), a non-profit civil liberties group that defends freedom in technology law, policy, standards and treaties. He holds an honorary doctorate in computer science from the Open University (UK), where he is a Visiting Professor; he is also a MIT Media Lab Research Affiliate. In 2007, he served as the Fulbright Chair at the Annenberg Center for Public Diplomacy at the University of Southern California. What this means for this episode? I was eager to talk about Cory's latest book, which feels incredibly relevant in the wacky times we are living in throughout the world, but I was also eager to talk about technology as a whole and the impact he sees our crazy times having on publishing and on writing books in general. One of the beautiful things about Science Fiction is that it tends to present a possible future. We are able to think deeply about how we would like our future to look when reading about one potential outcome. If we want that future to be different, we can look at the course the world is taking right now and respond differently. I was inspired to ask these kind of questions while reading Walkaway, and as I spoke to Cory. I hope you will be similarly inspired. As always, please do share thoughts in the comments below or join the conversation on the Facebook Page for the show.